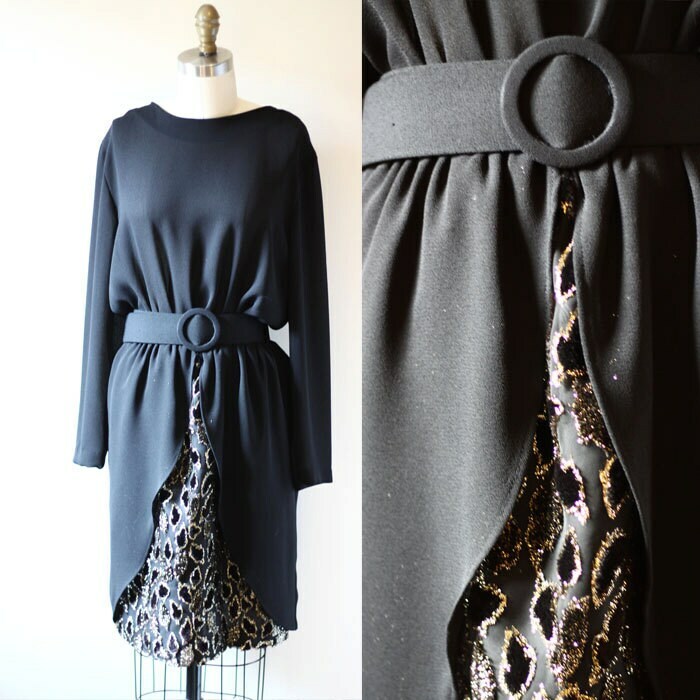 1980s black sheer long sleeve dress with a gold fleck petal skirt. Large fabric covered belt cinches the waistline. I love the petal skirt and how to the gold details just peek out for a little sparkle. Waist - up to 18"